It’s now been three days since Android 4.4.3 factory images were officially released for current generation Nexus devices–well, all other than the mobile data-enabled Nexus 7 (2013), but that’s a topic for another article. 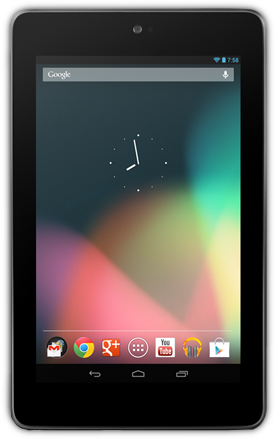 In the time since, we’ve also seen incremental update OTAs roll out to various members of the Nexus fleet, starting with the Nexus 7 (2013) and continuing with the Nexus 5, Nexus 4, and Nexus 10. These incremental updates are of particular use to device owners who haven’t yet unlocked their bootloaders and would like to upgrade without wiping their /data partition. For those keeping track, up until now the two variants of the Nexus 7 (2012) (WiFi-only “Grouper” and for the 3G-enabled “Tilapia”) hadn’t yet received their 4.4.3 OTAs, despite already receiving 4.4.3 factory images a few days prior. Luckily, we’ve now gotten word that the updates have begun rolling out in certain regions. As expected, the updates for the two device variants carry the same KTU84L build ID that we saw in Monday’s factory image release, but now they’re available in the form of an incremental OTA. These updates are gradually trickling out to consumer devices. Naturally, it may take some time before it arrives on your device. Thankfully, XDA Recognized Developer Tasssadar (of MultiROM fame) was kind enough to capture and mirror the updates for the WiFi-only “Grouper” and for the 3G-enabled “Tilapia” for your ADB Sideloading pleasure. If you haven’t unlocked your bootloader and have been waiting for the ADB Sideloadable OTA update, head over to the appropriate link above and work that adb sideload [filename] command. Update: As it turns out, the files originally shown above are simply factory images. We’ll update this post when the OTAs are captured. Update 2: Thanks to XDA Recognized Contributor / Archivist-in-Chief oldblue910, the update for the 3G version has been captured and mirrored. The WiFi-only version’s update has not yet been captured, but it’s only a matter of time.